The GK cowherd is a select group built around foundation females purchased through Australian dispersal sales, combined with females resulting from imported Canadian embryos and Canadian donor dams we have selected ourselves. 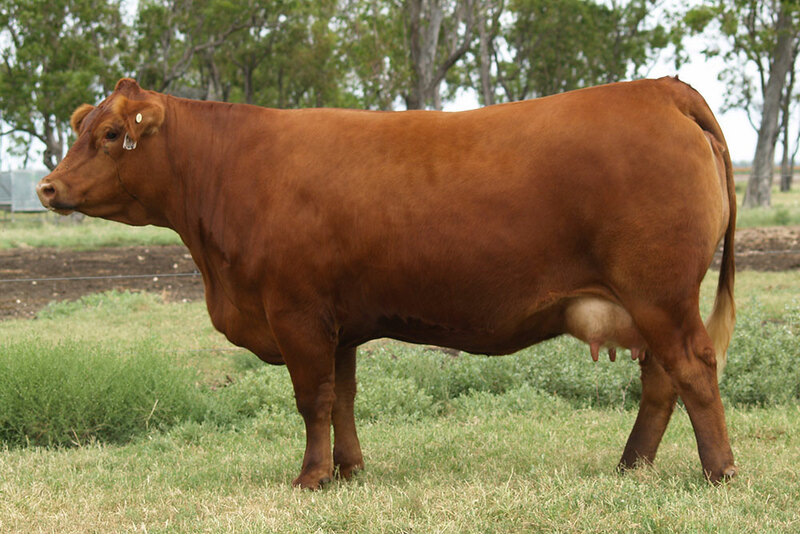 We place great emphasis on udders, feet, temperament and the ability for a female to calve easily, raise her calf well with no creep feeding and go back into calf under natural Queensland conditions. We believe in using the show ring as a shop window for our product and we believe in doing it right. Some breeders assume that because our show team is turned out professionally, that our entire cow herd is spoilt and doesn’t have to work. This is most certainly not the case. Because our operation is run under limited land space we have absolutely no room for poor performers, or for cows to have a second chance. No exceptions, Sydney Champion or not. This magnificent daughter of GK Federer was named Junior Champion heifer at the 2015 Sydney Royal Easter Show and Champion Cow at the 2016 Angus Youth Roundup. The Tinsel cow family originates from Brylor Ranch in Canada. J28 is another feminine, high capacity Federer two-year-old whose dam X9 was one of our very best old cows. 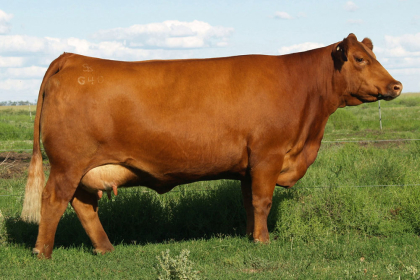 Cherok X9 was imported from Brylor as an embryo and is a member of the well-known Brylor Cherok cow family. Bella B30 is sired by Xtra Flash and out of the old Bella R512 cow, making her a full sister to Arabella A30 and Federer F23. B30 is a powerhouse female that has the ability to reduce birth weight and maintain rapid growth rates in her progeny. 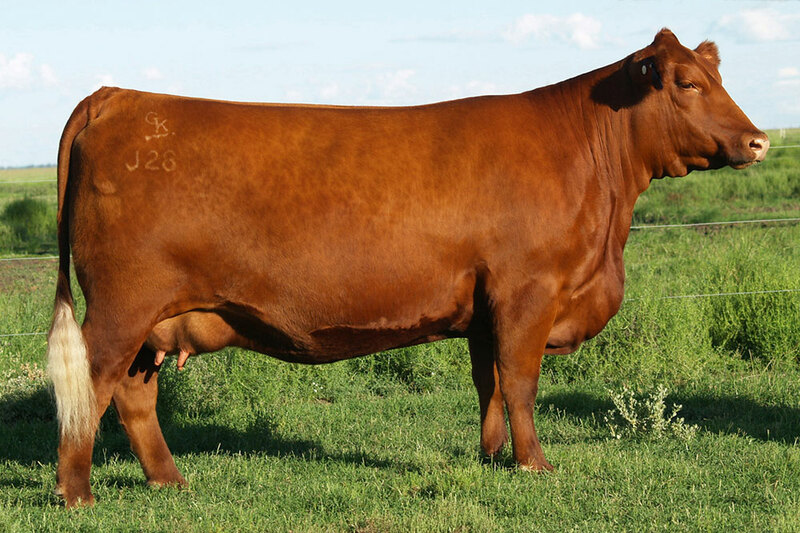 B30 is the Dam of GK Red Kulcha Shoc K23, the 2016 Brisbane Grand Champion Bull and top seller in 2016 Power of Red II for $16,000. Ruba G40 was named best Red Angus Exhibit and Supreme Beef Female at the 2015 Sydney Royal Easter Show and the 2017 Sydney Royal Show. This is the only time the same female has won this award twice. Ruba was also the Urquhart Trophy winner for Supreme Beef Animal at the 2017 Sydney Royal Show. G40’s progeny have averaged over $10,000 for GK, all selling as yearlings. This beautiful, easy keeping, deep bodied, Mulberry daughter was one of the last daughters we put on the ground out of the fantastic old Ms Ruba 7H cow. G40’s first calf Kody K25, topped the yearling bulls at the Inaugural Power of Red Sale in 2015 for $8000. Whisper was purchased as a calf at foot on her dam to add the famous Whisper female line to our herd. 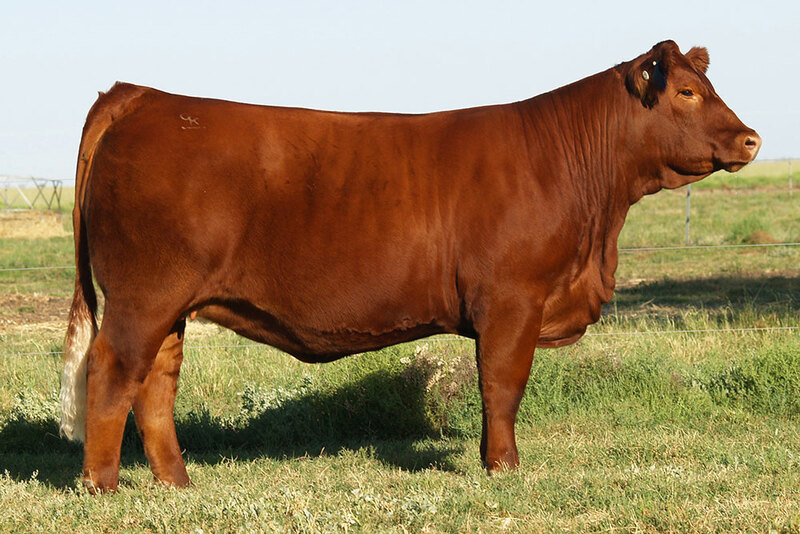 A18 has been an extremely consistent producer for us, averaging over $6000 on her progeny to date, both male and female, all selling no older than yearlings. 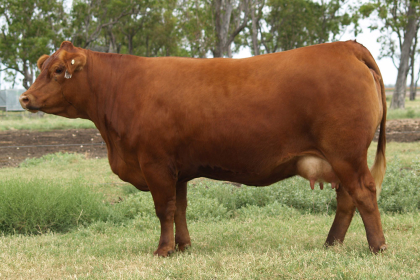 A18 is a highly maternal, super feminine cow who has progeny placed in herds from the Atherton Tablelands in North Queensland, to the Kangaroo Valley in NSW and Lara in Southern Victoria. J2 was purchased in 2015 as a bred heifer from the Alliance partnership, who imported her as an embryo from Willie Altenburg’s Altenburg Super Baldy Ranch in Colorado. She is a superb uddered daughter of Canadian Sire Spring Creek Lotto 52Y. 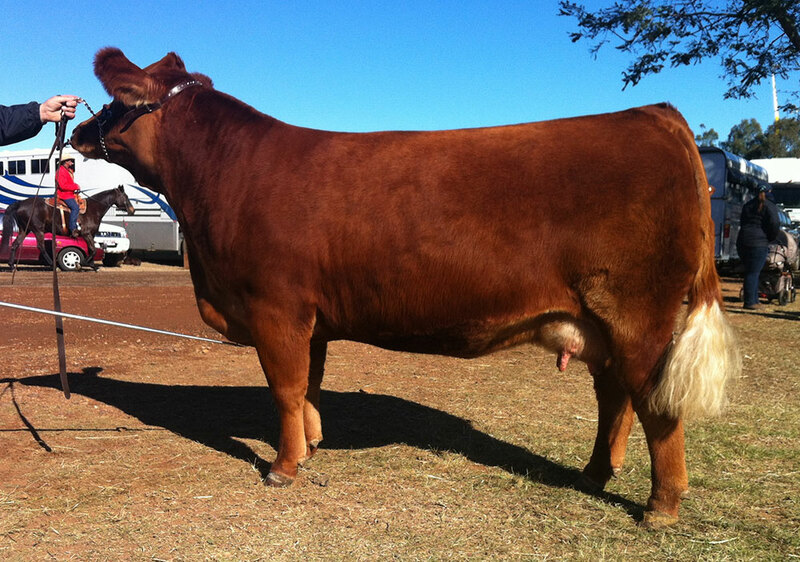 Her dam is the ASR Little Molly cow, making J2 a complete outcross to most Australian Simmental genetics. We are looking forward to her embryo calves arriving in 2017 and 2018. 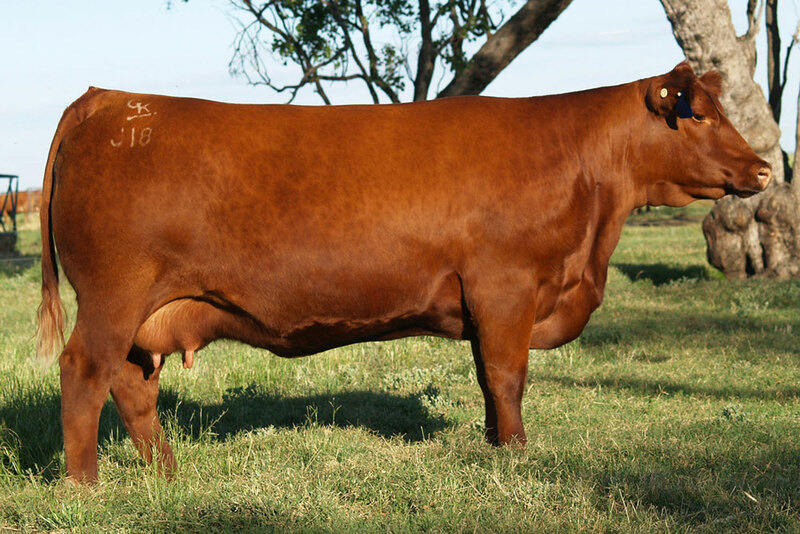 K278 is a powerful deep bodied female selected from the Baker family in South Australia. She is the result of an imported embryo from Lewis Farms in Alberta Canada. She is sired by LFE Red Casino 3036X and out of the KJLI Razzle Dazzle 628R female. We have high hopes for this fantastic young heifer and look forward to seeing what she can achieve in our program. 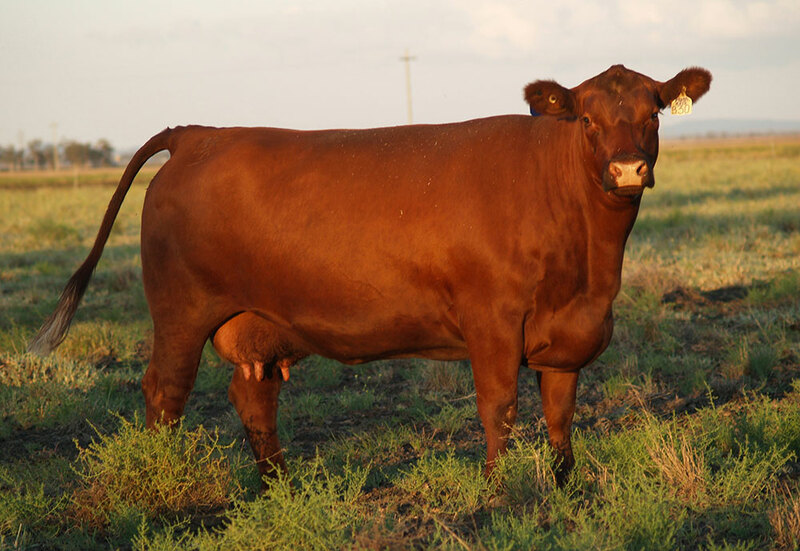 Hobbs Livestock Keepsake H006 (P) aka “Honey”, was the first foundation female purchased for our Red Simmental program in August 2013. She is the result of an imported Lewis Farms embryo from Alberta in Canada and has turned out to be a magnificent cow, with an absolutely fantastic temperament. Her first calf GK Que Sera was named Grand Champion Bull and Best Simmental Exhibit at the 2015 Sydney Royal Easter Show and sold to Woonallee Simmentals at thirteen months of age. 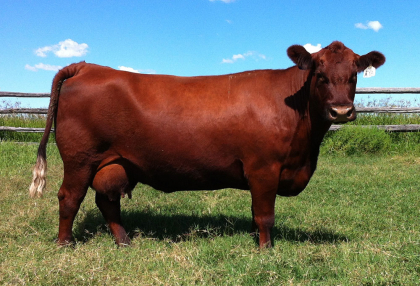 We look forward to embryo calves out of “Honey” sired by HRC Firepower arriving in Spring 2015. Honey’s first 3 progeny have averaged $12,000.